Want to impact your community? Join us and Volunteer! Watch lives change! Our vision and pouring out to these women would never be possible without the dedication of our volunteer teams. 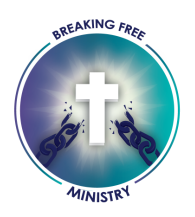 From teaching a class to helping in the kitchen to just hanging out with these women, there is a place for anyone who wants to be a part of what God is doing through Breaking Free Ministry. Whatever your gifts are, there is a place for you to serve, whether you are available a few hours a week, a few days a week, once a month or for special projects. To find out how you can help, complete the volunteer application below and let us know how you would like to serve. Together, we can see healing begin and freedom reign! VOLUNTEER/CONTRACT EMPLOYEE FORM-Please be sure to hit the submit button at end of form! Thank you for your interest in our ministry! We will be in contact once we receive your form!